The swing arms of the LC8s are beautiful! But they are prone to denting and scratching them up doesn't feel right either. What to do? 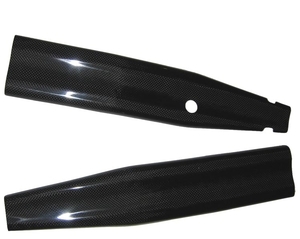 Well, why not make it look even better with this high-quality carbon fibre protectors from Carbon Performance!? As always, fit and finish is top-notch!